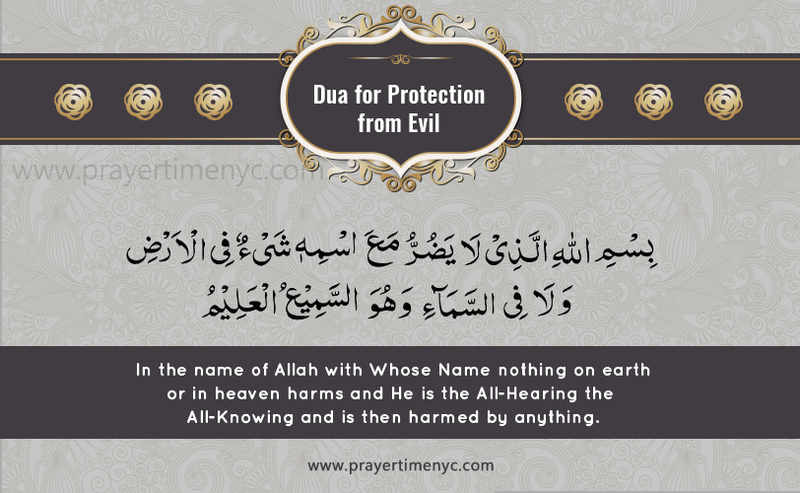 Here you will learn about the Dua for protection against from evil. Remember to recite this 3 times in the morning and 3 times in the evening for protection from all evil. In the name of Allah with Whose Name nothing on earth or in heaven harms and He is the All-Hearing the All-Knowing and is then harmed by anything. O Allah, I seek refuge in You from bad days, bad nights, bad hours, bad companions, and bad neighbors in my place of residence. So, it is obligatory for every Muslim to make dua before he eats, Dua before sleep, Dua before travels, goes out, or dua enter the home, etc.